Skegness Town Council is a medium to large sized parish covering Skegness & Winthorpe. The Council currently employees 11 people but is looking to expand this due to a proposed asset transfer from ELDC to Skegness Town Council. The Council serves a population of around 22,000 people. The Council has 21 Councillors including a Mayor and Deputy Mayor. The proposed budget for 2019/20 is £698,090 with a precept needed of £469,290. To find out more about what the Council gets up to see the website, read the annual report and come to a meeting. Are you qualified to be a Councillor? A Councillor is a person elected (whether his election is contested or not) or co-opted into a Council and is the holder of a public office. There are certain people who are disqualified from being a Town Councillor. You cannot be a candidate if at the time of your nomination and on polling day you are employed by Skegness Town Council, are subject of a bankruptcy restrictions order or interim order, have been sentenced to a term of imprisonment of three months or more (including a suspended sentence) or have been disqualified under the Representation of the People Act 1983. If you are unsure on whether you qualify please contact Skegness Town Council office or the Elections Team at East Lindsey District Council to discuss. Town and Parish Councillors spend on average about 3 hours a week on Council work (NALC Councillor census survey). 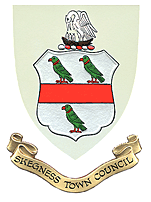 Skegness Town Council holds monthly Council meetings, on top of this there are Committee meetings, working group meetings and community engagement and consultation events, these can be in the evening and sometimes in the day. A Councillors normal term of office is four years. "Clearly understand that there is a time commitment that will impinge on your free time" Comment from current Town Councillor. Working as a Councillor is a voluntary role. However, Skegness Town Council has opted to use its' power to pay an allowance to elected Councillors, this is currently £500 per year, this is to cover expenses like internet provision, printing and posting. A Councillor must make a declaration of acceptance of office in a prescribed formand must abide by the Councils' Code of Conduct. Will I be able to change anything? Skegness Town Council must work within its powers and duties these are growing and it is an exciting time to be involved as more assets and responsibilities are transferred from District and County Councils. A Council cannot do anything unless permitted by legislation. In general, a Parish or Town Council can make decisions on the land and assets it owns and the services it provides. A list of powers and duties can be found at the back of the good councillor guide. For example, at the moment, you would not have the power to make decisions to fix all the potholes in Skegness as this is the responsibility of Lincolnshire County Council. "Be realistic in what you think you can achieve" comment from current Town Councillor. Visit the Electoral Commissions website and read the guidance for candidates. Am I eligible to stand for election? Check you are eligible and then contact the ELDC elections officer on 01507 601111 for a nomination pack (these should be available from March 2019). Please note your nomination paper and consent to nomination must be delivered by hand to ELDC at Manby Park, Louth.